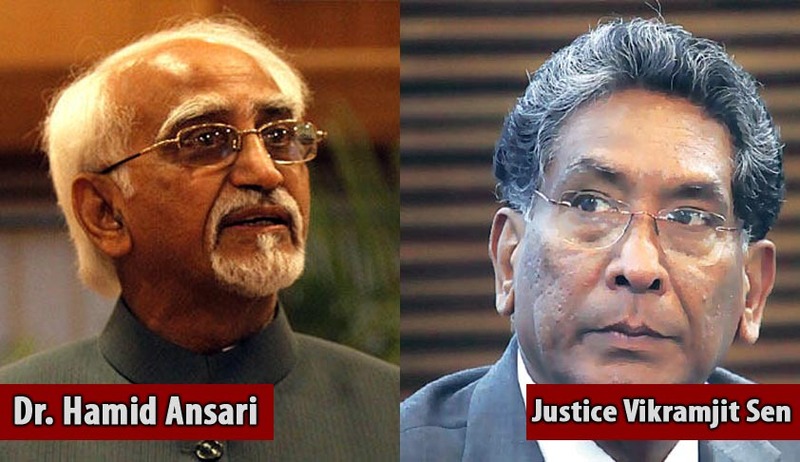 Vice President Hamid Ansari has reportedly sought a definite opinion from the Law Ministry on whether retired Supreme Court Judge Vikramjit Sen can continue to head the panel constituted to investigate sexual harassment charges levied against Justice Gangele of Madhya Pradesh High Court. “At the outset, this Secretariat is unable to understand how the two contrary and conflicting courses of action as advised by the Ld Attorney General will be valid in law at the same time. As per our understanding, even if a provision is capable of being interpreted in more than one ways, which may even be conflicting to each other, ultimately, there would be only one valid interpretation, if at all the provision is legally sustainable,” the Rajya Sabha Secretariat was quoted to have told the Law Ministry. To give an example to elaborate on its point, Rajya Sabha Secretariat pointed out that in the past, whenever there have been vacancies in an impeachment probe panel, the committee has been reconstituted. In order to look into the intent of the legislation, Law Ministry sources were reported as having referred to the arguments made by the then Home Minister Y.B. Chavan, who piloted the Judges (Inquiry) Act, 1968 in the Parliament. During a debate in August, 1968, Mr. Chavan had stated that the two Judge members of the investigation panel would represent the Supreme Court and the system of High Court Judges. Commenting on the impeachment motion, senior Supreme Court lawyer Indira Jaising, advocate for the former judge, said, “It is a welcome step. I am very hopeful that justice will finally be done to the lady who had to resign, while the HC Judge, who stands accused of such a serious offence, continues in office.” CJI Lodha had hence urged the formation of a panel comprising of senior Judges in order to investigate the allegations of sexual harassment. Read the Live Law story here. Consequently, in December, 2014 the Supreme Court had quashed the inquiry initiated by MP High Court and had directed the Chief Justice of the High Court to divest the accused Judge of the administrative and supervisory control vested in him, in order to ensure that the investigative process in fair and just. Read the judgment here.